SlideShare is a popular presentation tool for the business world that allows you to create presentations, upload them to the cloud, and share them with colleagues. With a globral ranking of 124 on Alexa, SlideShare is the most visited document and presentation-sharing website in the world, getting over 60 million users a month. As the network still isn’t over-saturated from marketers, SlideShare is a fantastic social network to promote your presentations both in and out of network and get the visibility you need. 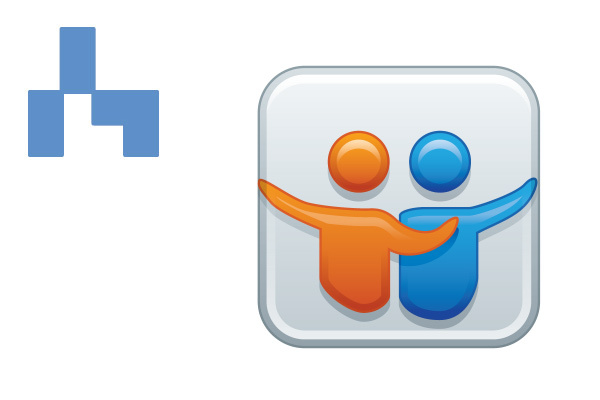 Here are nine great ways you can use SlideShare for your business. Use SlideShare in Meetings Keeping your employees’ attention is easy when you are sharing a creative, informative SlideShare presentation during a meeting. SlideShare relies on the power of images and colorful headings to get your message across, and even when that requires more slides per presentation, each slide takes 10 seconds or less to read, allowing for a presentation that will ultimately be memorable and useful for your employees. Get Found Through Search SlideShare content is frequently featured in Google search results making it an extremely effective platform to use in your SEO efforts. Just take a look at the following screenshots. 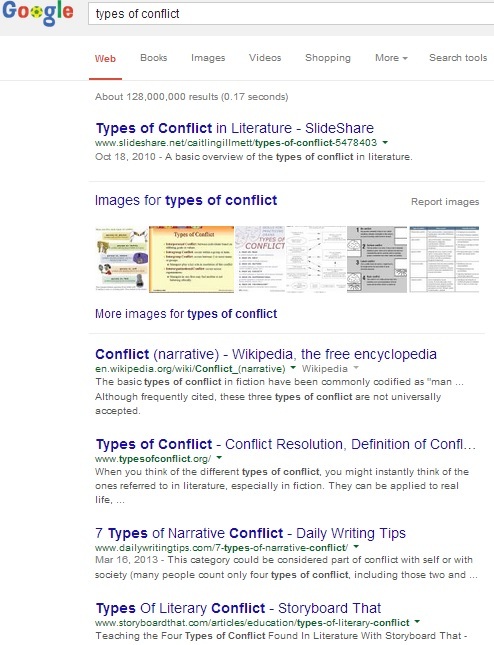 The following image is a screenshot using the keyword “types of conflict” which shows up as #1 in Google. 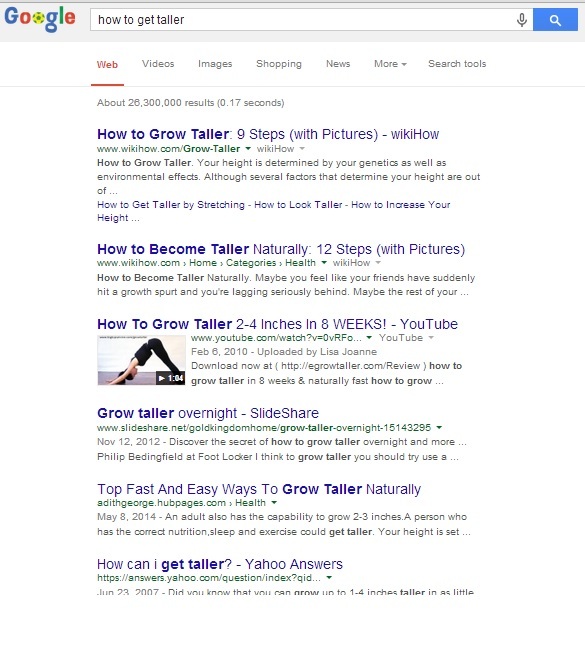 Here’s another screenshot for keyword “how to get taller” which shows up as #5 in Google. As with any other content that you create, it’s important that you optimize to ensure the full potential to rank. There are a few basic things to keep in mind to help you with ranking higher in search (both for search engines and to be found internally through search on Slideshare). The first thing to keep in mind is the name of the actual file you create. Make sure to name your document, PDF, presentation or video using the keywords that you want your presentation to rank for. You should also use your keyword in the title as well as some long-tail keywords in the description of your presentation. Also don’t forget to take advantage of the presentation tags. You’re allowed to use 20, and while it’s unkown whether Google crawls these tags, they will help with ranking your presentation within SlideShare’s search. Measure Your Visibility Online If you are serious about bringing success to your business through your online presence, premium SlideShare features allow you to measure how often people are viewing your SlideShare presentations. This information will allow you to continually develop a strategy to make sure your SlideShare content is being seen by as many people as possible. Drive Traffic to Your Website As mentioned above, creating a Slideshare presentation is a great way to get your content discovered through search. By including a link or links within the presentation to your website, you’ll be able to drive visitors that may otherwise not have found you.Aside from just adding links to your slides, you should also consider using a call-to-action that directs visitors to take a specified action. You can direct users to a dedicated landing page where they can get more information about the services you offer or offer them a free eBook that goes into more detail on the information in your slides. Gain Free Exposure When someone views and reaches the last slide of your SlideShare presentation, they have the option to share it on Facebook, LinkedIn, Twitter, Pinterest, or by hyperlink. The availability of so many sharing options makes your SlideShare presentation easy for those with whom you have shared to continue to share it with their own contacts, who will also continue to share the content if they find it valuable. This exponential sharing can only help your business because it increases your exposure and lets more people know you are available to meet their needs.